The global ophthalmic lasers market was worth US$ 1,069 Million in 2018. The ophthalmic laser is a medical equipment that is used to operate on ophthalmic disorders and to treat cells present in the eye. The laser beam emitted from the device is a source of clear and monochromatic light that focuses on a particular spot in the eye. It is an effective tool for clinical and therapeutic procedures. Ophthalmic lasers are used for a variety of disorders and procedures such as cataract surgery, posterior capsulotomy, retinal photocoagulation, laser trabeculoplasty, laser iridotomy, etc. The rising demand for economical, harmless and pain-free ophthalmic laser therapies coupled with a rising global geriatric population represents key factors driving this market. The increasing incidences of chronic and communicable eye diseases has increased the consumer awareness for laser treatments in order to prevent blindness and visual impairment. Additionally, the demand for ophthalmic lasers is catalyzed by the growing geriatric population suffering from old-age related problems such as diabetic eye diseases, glaucoma, cataract, etc. Moreover, technological progression in procedures has enhanced the accuracy and success rates of ophthalmic laser surgeries, further creating a positive impact on the market. Furthermore, factors such as extensive R&D in the laser eye-care segment, escalating concerns for vision-health management, increasing number of ophthalmic clinics and hospitals, etc, are also contributing significantly to the growth of the market. Looking forward, IMARC Group expects the market to reach a value of US$ 1,353 Million by 2024, registering a CAGR of around 4% during 2019-2024. 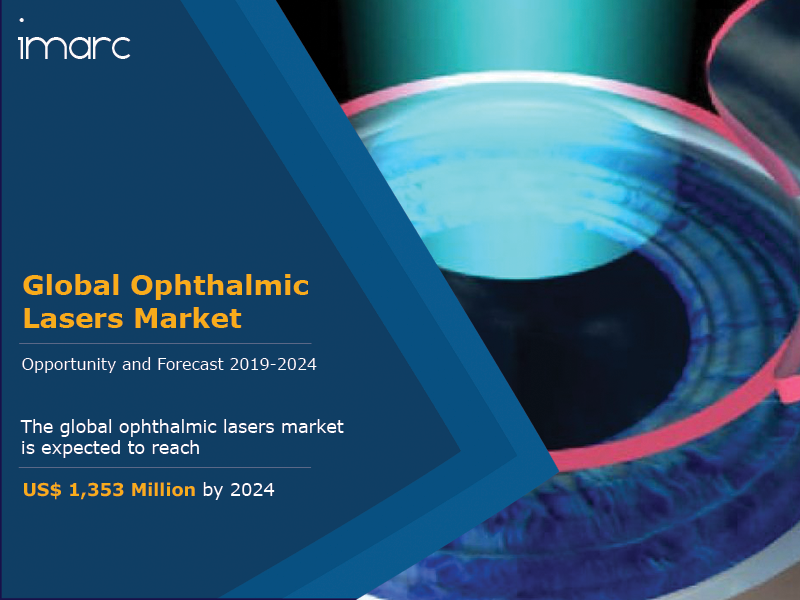 The report has also analysed the competitive landscape of the market with some of the key players being Alcon Laboratories Inc. (Novartis AG), Johnson & Johnson Surgical Vision Inc., Bausch + Lomb, Ellex Medical Lasers Limited, IRIDEX Corporation, Lumenis, Topcon, A.R.C. Laser, Abbott Medical Optics, Calmar Laser, Carl Zeiss Meditec, Meridian, Nidek, Optos, Quantel, Ziemer, etc. How has the global ophthalmic lasers market performed so far and how will it perform in the coming years? What are the key regional markets in the global ophthalmic lasers industry? What are the various stages in the value chain of the global ophthalmic lasers industry? What are the key driving factors and challenges in the global ophthalmic lasers industry? What is the structure of the global ophthalmic lasers industry and who are the key players? What is the degree of competition in the global ophthalmic lasers industry? What are the profit margins in the global ophthalmic lasers industry? 14.3.2 Johnson & Johnson Surgical Vision Inc.